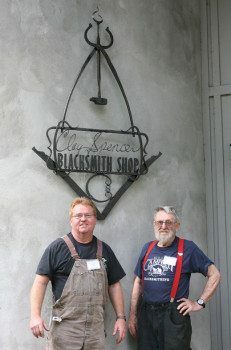 You may remember that the Clay Spencer Blacksmith shop was dedicated July 18, 2010 (Read the post here). 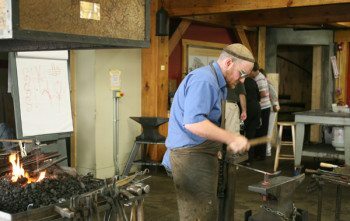 Students and instructors alike have been enjoying classes there since then, but recently two Folk School blacksmith instructors put the finishing touches on the building. 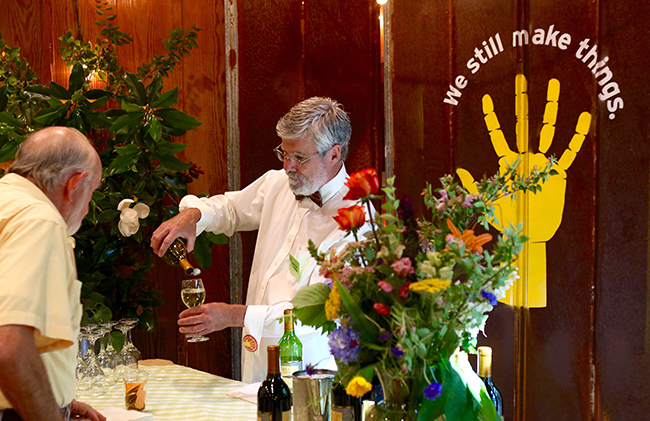 Through collaborative efforts, blacksmiths Matt Jenkins and Ted Thompson designed, fabricated, and forged the sign featuring Clay Spencer’s signature that hangs just outside the front entrance. Matt Jenkins spear-headed the design of the sign. Despite the particularly challenging task of “forging” Clay’s signature with all its curves and line variation, Matt and Ted were able to create a spectacular piece of art. Want to see the sign for yoursef? 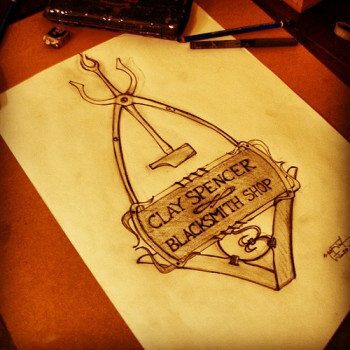 It’s located at the front entrance of the Clay Spencer Blacksmith Shop. Ted Thompson (left), standing next to Clay Spencer in front of the new sign. NextSpiderman Swings Into the Folk School! 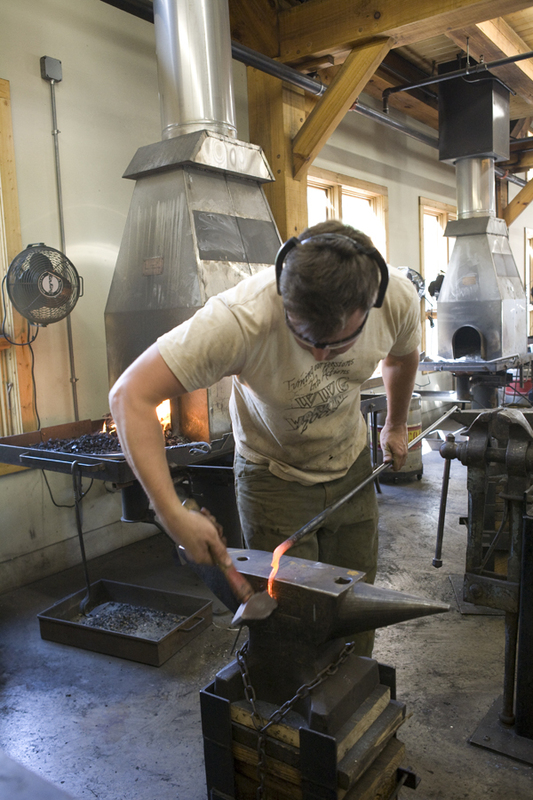 My son wants to do a small blacksmith workshop/class. He is only 11 years old, do you have anything for young kids? Our oppotunities for youth are on our website- check them out here. 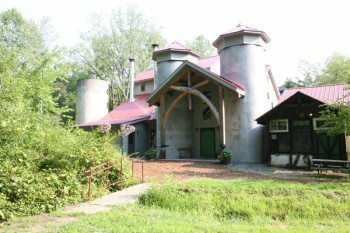 Every summer the Folk School opens its doors to young folks age 7-17 for Little/Middle Folk School, an opportunity for youths to discover Appalachian culture and to take part in hands-on programs in dozens of arts and crafts. “Littles” are rising second-graders to rising sixth-graders, and “Middles” are rising seventh-graders to rising twelfth-graders. Be sure to register your child early, as classes are filled on a first-come, first-serve basis. 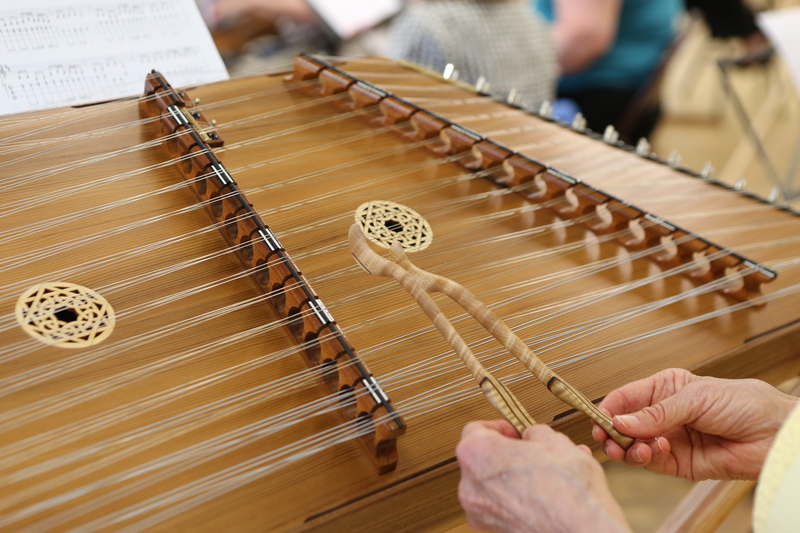 This week is designed to provide youths, ages 12 to 17, the opportunity to take classes side-by-side with a parent, grandparent, or other relative or guardian.